Turtles are the great in-between of aquatic pets and well, non-aquatic pets. They are far more interactive than fish, and the care for them can be easy. However, they also provide a space for wonderful, decorative, tank building. If you’ve recently become a proud turtle owner or is a seasoned owner looking for a new filter, you’ll find the best turtle filters here. Throughout the internet, there are a ton of questions that all boil down to: “Which turtle filter is best?” Unfortunately, the answer isn’t so straightforward. But, with the information and reviews here you can definitely decide which filter is best for you and your turtle buddy! Do turtle tanks even need a filter? What types of filters are available? The value of a filter is built on a combination of factors creating the perfect environment for your tank and turtles. Unlike aquariums, turtles have specific needs that can’t be ignored. You may initially question if a turtle tank even needs a filter. The answer is yes! Turtles are adorable and their cuteness attracts many new pet owners to them. But, they also create waste and these needs to be cleaned. A filter is important because the as the water gets dirty your turtle continues to enjoy living in it. By finding a filter that is great for your size tank and operates on a preferred flow rate your turtle can be happy and clean. Just like filters for fish tanks, there are the mechanical, biological or chemical filtration methods. Most filters use a combination of two or even all three of these. 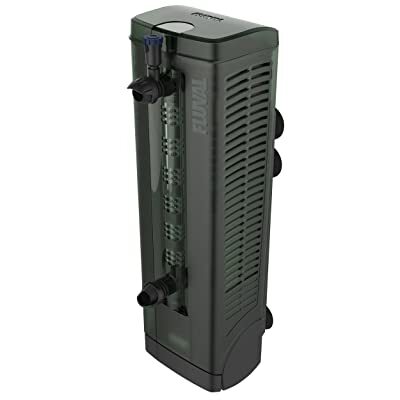 Internal Filters – suction cup onto the side of your tank and filter the water, you guessed it, internally. These are a great option for small tanks and can provide a good foundation of knowledge for beginners. Canister Filters – great for large tanks or experienced tank owners. Canister filters are external and flow clean water into the tank after pumping dirty water out. Under Gravel Filters – work to draw water either up through the gravel (reverse-flow) or down through the gravel. The idea is that this works on the natural biological filtration system using good bacteria to beat out the bad stuff. A little of each of the filter types available have made it onto the list. You can be sure to see what would work for you and what wouldn’t as you read on. Does the filter deliver all of the cleaning functions for a healthy living environment? Is the maintenance of the filter something you can regularly keep up with? How does the filter perform in low water environments? Is this filter in your budget? Don’t be discouraged by some of the high-priced filters. They’re great, but you can find a great value in your budget too. There is a reason the concern of a healthy living environment is mentioned first. There are a number of filters in any price range that will create and cultivate a clean and healthy environment for your turtle. However, the maintenance and performance fluctuate a bit. Let’s find the best filter for you and your pet! What are you looking for in particular? The best of turtle filters available on the internet are compiled here! Looked at from all angles and evaluated thoroughly these are the top options! Canister filters are always a top choice for aquarium owners. Whether it’s for fish or turtles their flexibility in cleaning outside the tank means water level isn’t a problem. The double filtering system is worth mentioning here. Within the system itself, it recirculates the water building on internal biological filtration. Kind of like a double-whammy in delivering quality, beneficial bacteria into your tank. It’s also easy to prime which is a plus for a canister filter. This is a smaller model as far canister go. Coming in at about 11 inches long, 9.5 inches wide, and 18.4 inches high, it can sit comfortably in a cabinet under your tank. As a canister filter, this is difficult to clean. The process of cleaning it is a not something that can be completed quickly. Although this can be said of all canister filters, the small hose sizes and valves on this one make it a little more difficult. Especially since turtles have more, and larger, waste than fish do the lines can easily have thicker material in them than usual. Is it worth the value? Zoo Med is a trusted brand, and it is a complete canister filter kit. However, with the difficulty of setting up this filter and the cleaning on top of it, this probably isn’t the choice for beginners. If you are well-versed in canister filters this is a good choice and you can probably see the value in it already. Many canister filter lovers go with Zoo Med for their turtles. Tetra is another brand in aquatic filters that is a household name. This filter doubles as a decorative filter in your tank serving a few purposes. The Tetra 25905 is built with large intake holes and a locked cover. For you, this means that the holes aren’t going to get clogged very easily. The locked cover also ensures that the entire system is safe for your turtles. Another perk is that this filter is made just for turtles, frogs, and newts. Rather than using a filter that is versatile enough for fish or turtles you know this filter is meant for low water levels. If you’re using a 50-gallon tank this filter can appear large within the aquarium. It measures at 8.8 inches long, 12.8 inches wide and 10.6 inches high. Definitely, measure your tank before purchase! Other than its size the only complaint seen on this filter is defective products. If you ever come across a product that doesn’t work, immediately contact where you purchased the filter from. Additionally, Tetra is a well-known brand; feel free to contact them as well through their customer service line. For the decorative feel, filter system and price this is worth the value. It’s likely that this filter fits into more beginners budgets than some of the other options available. Fluval is a well-loved name in filters. They’re also known for making really versatile products which can sometimes mean that it’s not always the best filter for you. However, this filter hits many of the marks that turtle owners are looking for. Much like a canister filter this underwater filter works to filter dirty water through many different compartments. These compartments hold different types of filter media for optimal debris and biological cleaning. In simple terms, it filters in a few stages and a couple of different ways. The Fluval handles a turtle tank well. 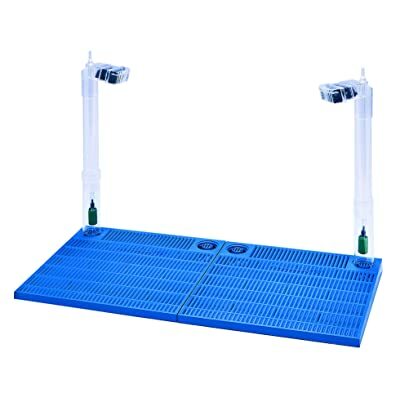 As an underwater filter is a functional option for low water levels. It also has a few different size variances so you can match your tank size to the option available. The flexibility in size made this a great choice for someone moving up in tank size. They build them for up to 65 US Gallon tanks and as low as 15 US Gallon tanks. The Fluval has another feature that makes it stand out though, its adjustable outputand 3-way flow control. This control option is often missed on submersible or underwater filters. There isn’t anything really not to like about this filter. It is a little on the pricey end, but you’re getting extras like silence for it. Absolutely, if this filter is in your budget it’s worth it. The ability to adjust and control the flow, as well as its sleek design makes it a good choice. This system is built to hold up to 40 to 50-gallon tanks. Turtles can be quite happy in a 50-gallon tank and although the under gravel filter will elevate them slightly; there’s no cause for concern of escape. What does the Penn Plax have to offer? Under gravel, filters work by using high amounts of aeration to filter the beneficial bacteria into the tank. A natural, biological aspect of filtration is an aspect that many hobbyists enjoy. The best thing about Under Gravel filters is how they allow you to keep all of your space in the tank but visually hide them. There are two carbon filter cartridges that filter the entire tank giving a chemical filter. The under gravel filters can make the whole tank difficult to clean. Keep in mind that unlike cleaning a fish aquarium where it is a bit easier to maneuver, turtles are not the same. The carbon cartridges for this filter are on the bottom. Essentially, the whole system has to come out for every cleaning. This makes it a pain. Because the price is so low, it could be. The question to consider is how much time you have to devote to cleaning. In addition to the time, it takes to clean as turtles create larger waste the gravel will probably need cleaning more often. This wouldn’t be recommended for the hobbyists who don’t want to spend tons of time just maintaining their tanks. 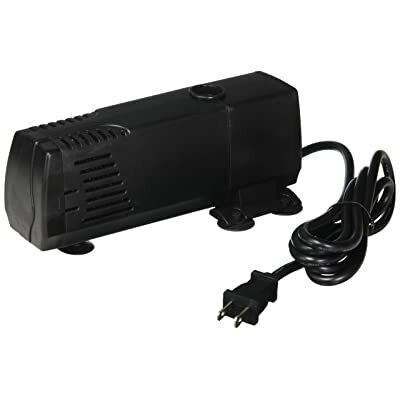 Power filters aren’t usually the first choice for turtle tanks. There’s usually a setback because they usually set on the back of the tank. So the water level usually creates issues. Of all the things this filter brings to the table, or the tank, it’s the power. Although it lost it towards the 80-gallon mark, smaller tanks will definitely benefit. The abilities of a power filter are often missed out on in a turtle tank because so many are back-hanging. 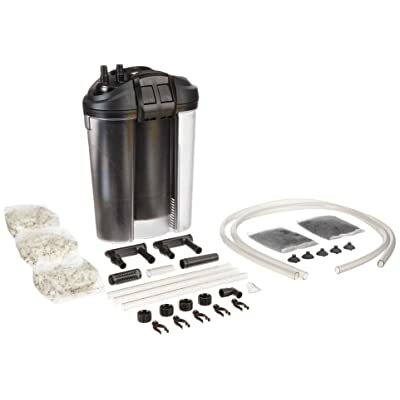 This is a great option for those who don’t mind spending more time cleaning the filter than the tank. This part of the filter isn’t even its fault really. The system is loud, and if you’re using the optional spray bar attachment, it just gets louder. The noise comes as a result of how much water is being moved by the filter. Another downside that many turtle owners don’t like. If you’re looking for a soft or low flow in your tank, this isn’t the filter for you. The price is great for a quality power filter. However, the movement of the water could create a lot of movement of waste. This means it would counteract the beneficial bacteria by swirling around a good deal of bad bacteria. The clear winner here is the filter that is meant for turtles. 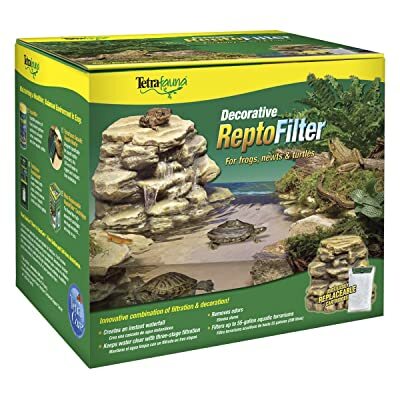 The Tetra 25905 Decorative Reptile Filter for Aquariums is the best turtle filter. The price is budget friendly for most and serving up to a 55-gallon tank is reasonable for many hobbyists. Additionally, as it is in the tank as decoration your turtles can acclimate to it easily. Turtles enjoy basking and the top of this filter is perfect for it. Compared to other filters it is designed for the larger size and volume of waste that turtles produce. It doesn’t clog easily and cleans fairly easily as well. What really sealed the deal were the bio bags. The cartridges for filtering are easy to pop in and out. The cleaning time is low, the price is reasonable and there isn’t any drop in performance.